Cyprus is a fast growing country and hence loads of money is pouring in, from all different parts of the world, including the UK, Russia, and even China, which is levelling out the ascension with the Europe thing. Now, looking around, you’d never believe it, as many tourist services have allegedly struggled over the past five years and remember Cyprus bases almost half of its economy on tourism, so the chain reaction of a poor season provides long hard winters for many locals. The sooner they sort out this all inclusive hotel thing the better !!! I arrived here in 1987, tested the water in ’91 and moved here in ’93 and I suppose ‘fast growing’ is a bit of an understatement, transforming from its traditional sleepy existence to a typical modern country, in just over twenty five years. I think there’s at least three new Marinas currently under construction moving us more towards Monaco than Majorca! As for commerce, it’s the stepping stone, between East and West, perfectly situated in between three continents, for a fantastic and economic future. Of course, Europeans can now invest into business without Cypriot partnerships, so we are seeing steady growth, which should continue over the next few decades. To find out more, contact one of our many accountancy firms or lawyers, who can help with everything from registering a name to opening bank accounts? Do also contact the Ministry of Commerce Industry and Tourism, in Nicosia, who can provide anything from an initial consultation to a many leaflets on several subjects. You should also find that some Embassies or High Commissions have a liaisons officer to answer your business questions. Having finally joined the Euro in 2008, all currencies are now being exchanged by visitors over an increasing amount of counters. Naturally, currency exchange rates change daily and you can switch your cash and travellers cheques at banks, exchange bureaus and an ever increasing amount of shops, from travel agents and jewellers to supermarkets, off licences, even some pubs will accept most foreign currency, often as not offering a good rate of exchange and some don’t charge commission, you know, Cypriot hospitality and all that? Maybe they base their winter holidays on the majority currency received? 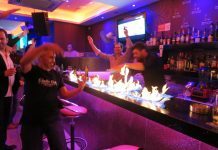 Now, for the professional approach, especially when large amounts are being transferred one company based in Larnaca and London are Low Cost Foreign Exchange . Com who offer everything from Property Investment to Foreign Currency Exchange. Our banks provide much the same service as they do throughout Europe, but in a more approachable environment, many with open counters to make it very welcoming. They’ve just started introducing security doors but I suppose that’s progress. Most have, full international cash point services, advice on off-shore business, insurance and investments. Some, like the Bank of Cyprus even has branches in the UK. Convenience, of course is of the essence, as banks are only open weekdays from 08:15 till 14:30. However, you’ll find an afternoon tourist exchange service in most tourist resorts, Monday to Friday throughout the year from 15:00 till 18:00. There’s been a massive introduction of cash point services aka ATM’s, that work much like they do throughout Europe. Most banks offer the same daily rates as issued by the Central Bank of Cyprus. Our tip is to shop around to find the best rates. While our economy is quite strong, you will still find that most currencies, once exchanged make for good buying power as the standard of living over here is quite high yet most things are lower costing than throughout Europe, although lately, I’ve noticed an amazing increase in the old shopping trolley total. So … get ready to spend that hard earned cash. If you run out of money, lose your travellers cheques or find something you’d really like to buy, or maybe you’ve decided to invest on this wonderful rock I call paradise, there’s a few international companies who provide 24 hour international cash transfer service. Many of the biggest names in the industry use the Currency Cloud, it’s a Low Cost Foreign Exchange Service, with years of expertise behind the company, so Low Cost Foreign Exchange .Com joined this group of companies that are changing the face of the money industry. 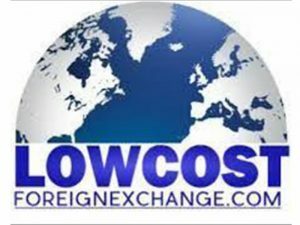 Low Cost Foreign Exchange have client security at mind they are a non risk organisation who carry their name with pride. Every single client is offered the same quality advice to ensure you get the best service possible. So if you’re ready to join the Fintech revolution call their London Office. Money here, there and everywhere !! !